Meet the people behind The Learning Accelerator. Beth Rabbitt is CEO of The Learning Accelerator (TLA). 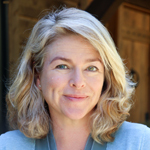 An expert in blended and personalized learning, Beth brings deep experience in education entrepreneurship, talent development, consulting, and finance. Prior to becoming CEO, Beth was a Partner on TLA's start-up team leading national strategies for developing human capital and for researching emerging teaching and learning models and practices. Before joining TLA, Beth was a Doctoral Resident and the Director of Human Capital at Touchstone Education, an Associate Partner at the NewSchools Venture Fund, a consultant to and with Education Resource Strategies, and the founding Doctoral Fellow at the Harvard Innovation Lab. Beth began her career in education as research fellow in educational neuroscience and as a director of environmental education for an urban youth program in Massachusetts. Beth serves on the board of several education nonprofits, including the Highlander Institute, Catalyst:Ed, and InnovateEDU. She earned a B.A. from Dartmouth College and a Doctorate in Education Leadership (Ed.L.D.) from Harvard University. Beth is based in New Jersey, where she lives with her husband and two young daughters. As a parent, she is inspired daily and urgently to make schooling better meet the needs of every child, everywhere. 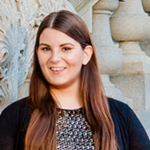 Samantha Artukovich is the Coordinator for Communications and Engagement at The Learning Accelerator. Her multi-faceted background in psychology and communications converged to bring her to organizations committed to enhancing the educational experience for students. Samantha helps maximize TLA’s reach and impact through effective communications and thoughtful engagement processes. Prior to joining TLA, Samantha worked for Capital Region BOCES, where she collaborated with rural and suburban K-12 districts in New York to manage and tailor communications practices, drive community engagement and plan accessible websites and digital materials. Samantha also brings a background in higher education to the team, having worked around the country in areas ranging from alumni relations at Pitzer College to student counseling at the University of La Verne and communications at St. Lawrence University. She holds an undergraduate degree in psychology from St. Lawrence University and a Master’s degree in the same field from the University of La Verne. In her time outside of TLA, Samantha is typically doting on her dogs, perusing (and writing) apocalyptic science fiction stories, and catching up on the latest musical releases from Japan. Ellie Avishai is a Senior Advisor at The Learning Accelerator. She is an expert in organizational strategy, change management, and innovative problem-solving. In her prior role as a Partner, Ellie led TLA's work to develop Look Both Ways, a research-based framework for helping leaders navigate change management initiatives, as well as team diligence on social-emotional learning and non-academic measures of student success. Before joining TLA, Ellie was the founding director of I-Think, a Canadian initiative that brings a blend of critical and creative thinking strategies into classrooms across the U.S. and Canada. She has also served as adjunct faculty at the Rotman School of Management, teaching in the undergraduate, M.B.A. and Executive M.B.A. programs. She has also taught students from kindergarten through high school in special education and conflict resolution. Ellie recently earned her Doctorate in Education Leadership (Ed.L.D.) from Harvard University. She also has an M.B.A. and a B.A. from the University of Toronto. She is also a certified Immunity to Change Coach. Ellie lives in Boston, MA. When she’s not working, she can be found playing guitar and singing at open mics, geeking out on neuroscience books, or biking in the park with her husband and two little boys. Juliana Finegan is a Partner at The Learning Accelerator. 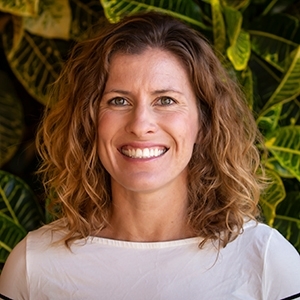 An expert in blended and personalized learning, she leads TLA's human capacity work to push forward innovation education by building and supporting a pipeline of blended educators and leaders, seeking to increase capacity at all levels and share best practices and resources at scale. Over the past 14 years, Juliana has followed her passion for education both in the classroom, having worked for a decade as a Title 1 educator and Teach For America alumna and, more recently, by supporting teachers at the graduate level. 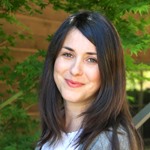 As Director of Personalized Learning at Relay GSE, Juliana researched and developed tangible, practice-based content to support teachers and leaders in the blended space. She has observed best practices from across the country, identified effective strategies, and built a strong network of impact-oriented education professionals throughout the nation. Juliana earned her B.S. in chemistry at Villanova University and her M.Ed. at Loyola Marymount University. When she is not focused on shifting education, Juliana loves to travel, stay active, enjoy nature throughout the Pacific Northwest, and spend quality time with her husband, two daughters, and puppy Harper. Kira Keane is a Partner at The Learning Accelerator. With more than 20 years of experience in communications and public affairs, Kira manages partnerships and external communications for TLA. She also develops communications tools and provides training workshops to help school districts implement blended and personalized learning. Kira has consulted for Fortune 500 companies, internet startups, education foundations, elected officials, and major municipal agencies. She has extensive experience in media, community, and government relations. Kira is passionate about K-12 education issues and has volunteered with school community foundations and managed communications campaigns for several public school funding measures. Kira holds an undergraduate degree in international relations from Stanford University. Michela Marini is Chief of Staff at The Learning Accelerator. With a background in the field of human-centered design and a deep interest in organizational design, she has worked in academia, nonprofits, and corporate businesses. In her current role, she supports TLA’s CEO on several projects, including team culture, organizational management, and process efficiency. Having joined TLA in its early days, Michela was initially a Program Manager for the organization, providing support to the founding CEO and Partners on projects mostly focusing on resource design, marketing, and communications. Prior to joining TLA, Michela was a Project Manager at design firms and startups, as well as at universities and private educational institutes – Politecnico di Milano, Interaction Design Institute Ivrea, and Domus Academy. Born and raised in Italy, she holds a B.S. in Industrial Design from Brunel University (UK) and a M.S. in Design from Politecnico di Milano (Italy). Michela, her husband, and two sons are based in Oakland, CA, where she is an active parent in the local elementary school community. She supports her husband in his beekeeping adventures and has a penchant for building monsters out of Legos. When not in California, Michela and here family are likely in Italy, making honey and eating good food. Saro Mohammed is a Partner at The Learning Accelerator (TLA). As a quantitative researcher, Saro has spent over a decade conducting and advising on studies and external evaluations of education programs implemented in public, private, and nonprofit settings to ensure that research improves student learning experiences. 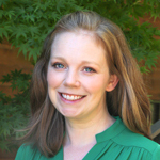 At TLA, she leads measurement work to increase the field’s understanding of effective and equitable K-12 blended teaching and learning practices. Prior to joining TLA, Saro was the inaugural assistant director of two research units in the College of Education at The University of Texas at Austin. 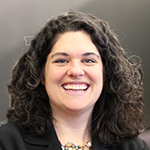 Since 2008, she has worked directly with more than 20 school districts through research and program evaluations and one-on-one with more than 10 states to address capacity building and provide technical assistance. In addition, Saro serves as a reviewer for and advisor to federally funded research centers, including the Institute of Education Sciences, the Center on Online Learning and Students with Disabilities, and the Rapid-Cycle Technology Evaluation initiative. Saro volunteers for multiple social nonprofit organizations, is a founding board member of Capacity Catalyst, and serves on the the Mission Advancement Committee of United Way for Greater Austin. She holds a Ph.D. in educational psychology from The University of Texas at Austin and a Bachelor of Science in brain and cognitive sciences from the Massachusetts Institute of Technology. Saro spends most of her time with her husband and son in Austin, TX, where they spend way too much time fishing. The rest of the time, they're in Trinidad or Tobago spending time enjoying Carnival and tropical beaches. 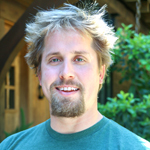 Daniel Owens is a Partner at The Learning Accelerator (TLA). He has a wealth of experience in education, philanthropy, and business strategy. His work at TLA focuses on identifying, capturing, and sharing promising blended and personalized learning practices from across the country. Daniel previously spent time at TLA focusing on helping districts purchase edtech devices in better, faster, and cheaper ways, and he currently sits on the board of the Technology for Education Consortium. Daniel participated in Teach for America, where he taught underprivileged sixth graders math and science in south central Los Angeles. He joined TLA from J.P. Morgan, where he was an analyst in the Private Bank and focused on strategy and resource allocation. He has an undergraduate degree in finance from William & Mary, a M.Ed. from Loyola Marymount University, and has studied economics and romance languages at the University of Buenos Aires as a Rotary Scholar. Daniel lives in Colorado with his wife and soon-to-be daughter. He spends most of his free time outdoors hiking, biking, and skiing. 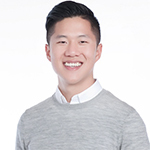 Stephen Pham is an Associate Partner at The Learning Accelerator. An experienced educator, Stephen brings expertise to TLA in blended and personalized learning, talent development, change management, scaling innovation within school systems, and the development of data and analytics systems. As part of the research and development team, Stephen leads strategic projects with ecosystem partners, such as the Learning Commons, to catalyze the identification, testing, and dissemination of high-potential educational innovations. Before joining TLA, Stephen managed school model innovation and personalized learning at Rocketship Public Schools. Stephen started in education as a Teach for America corps member, teaching 5th grade STEM (Science, Technology, Engineering, and Mathematics) at a Title I elementary school in East San Jose, CA. While teaching, he was selected to be a part of the BetterLesson Blended Learning Master Teacher project, capturing and sharing blended learning strategies from his classroom. Stephen then joined Rocketship’s national achievement team, managing personalized learning for the network’s schools across four regions of the United States. Stephen earned a B.S. in biophysics from the University of California, Los Angeles. Stephen is based out of Seattle and enjoys reading, being active and in nature, and traveling any chance he gets. Chara Price is a Research Analyst at The Learning Accelerator. She specializes in social science research design and statistics, primarily regression-based analysis, and is an advocate for integrating quality data into decision point conversations. Chara currently supports TLA’s work on teacher professional development in blended learning classrooms through research and statistical analysis. Prior to joining TLA, Chara gained experience using social science methods in both the private and public academic sectors. As a project manager for the University of Phoenix, she worked to develop a faculty scholarship support system to create a culture of research-informed scholarship for students, faculty, staff, and alumni. As a graduate research assistant at Arizona State University, Chara worked on two research grants that sought to better understand adolescent participation in STEM pipelines and after school activities, alongside the corresponding link to academic and professional success outcomes. Chara holds her M.S. from Arizona State University and is currently finishing her doctorate in family and human development at ASU. During off-hours, Chara enjoys rock climbing, running up and down mountain trails, and reading. She is based out of Phoenix, AZ, but often travels to spend time with family and explore parts unknown. 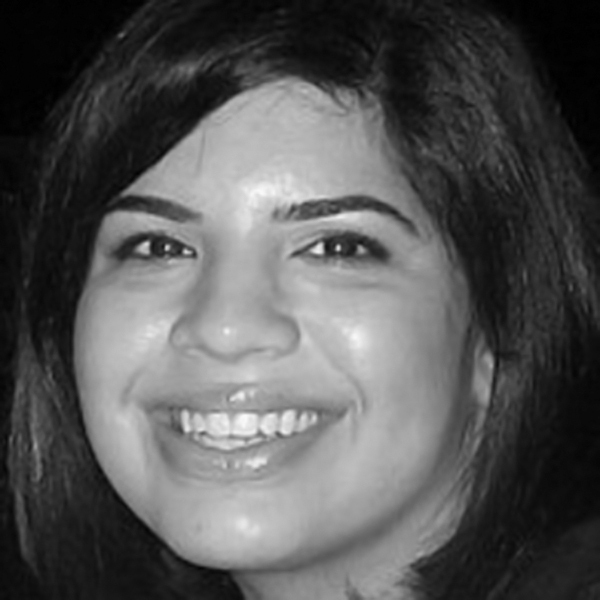 Ashley Sandvi is Chief of Strategy and Programs at The Learning Accelerator. She brings a depth of experience in strategic and operational leadership, program design, talent development, and other key skills for promoting scale, speed, and sustainability. 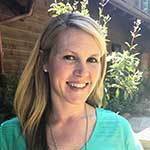 At TLA, Ashley plays a critical leadership role, fostering internal excellence and leading the continued growth of TLA’s programs to accelerate system-level learning and implementation of promising new approaches to education. Prior to joining TLA, Ashley was co-president of the Poses Family Foundation, a philanthropic foundation that invests in the power of digital tools to provide expert information and support to millions of people. Over her eight-year tenure, she guided exponential growth in the team and giving. She also played a key leadership role in incubating Understood.org, a free online resource for parents of children with learning and attention issues, and later led the planning to expand the platform for K-12 educators. Earlier in her career, Ashley worked in organizational development and marketing in a variety of for-profit industries. Ashley has a B.A. in psychology from Emory University, an M.B.A in human and organizational performance from Vanderbilt University, and an Ed.M. in human development and psychology from the Harvard Graduate School of Education. Ashley lives in Brooklyn, NY. When she’s not working, she’s likely coveting other people’s dogs on the streets of NYC. 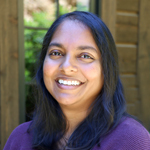 Nithi Thomas is an Associate Partner at The Learning Accelerator. Nithi brings extensive teaching experience as well as expertise around curriculum development and coaching for teachers and leaders. As an expert on designing, implementing, and scaling new learning models, Nithi supports TLA’s work to identify, develop, and share high-quality practices and strategies to build the capacity of educators, leaders, and organizations across the country. Prior to joining TLA, Nithi spent over a decade as a teacher and school system leader. Most recently, she consulted with schools and organizations nationally to help them personalize learning, supporting programs from design to implementation and providing thoughtful and effective professional development. Nithi also worked with practitioners to identify and evaluate effective technology-based programs to address critical student needs and accelerate student achievement. As Director of Instructional Technology at Matchbook Learning, she also supported the continued development, design, and deployment of Matchbook’s open source technology learning management platform, Spark. 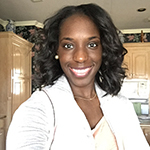 She earned a Bachelor's degree in computer programming and information systems from Farmingdale State University of New York and a Master’s in secondary education and teaching from St. John’s University. 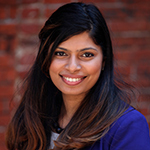 Nithi is based in Philadelphia, and when she is not working, she enjoys spending time with her husband and two kids. Nana Udoyen is the Director of Operations and Finance at The Learning Accelerator, where she leads TLA’s continuous development of operational systems and infrastructure and is responsible for all finance functions. She brings over a decade of experience in finance and accounting from private and nonprofit sectors to the team. Before joining TLA, Nana was the Director of Finance for Transition Projects, Inc., an organization that provides individuals with the services, resources, and tools to end their homelessness, secure housing, and maintain that housing. She earned her Bachelor’s degree in economics from Northwestern University in Evanston, IL, and a M.B.A. from Baylor University. When she is not focused on the exciting world of financial modeling and numbers, Nana spends most of her time with her husband and her son, playing tennis and traveling to escape the rain in Portland, OR.